Christopher Street Day and the cathedral – a mismatch? Of course it isn’t! Cologne makes it possible, managing to forge a link between the flair of a large city and the friendly “Veedel” district culture. The Mediacity Cologne is not only called the nordest city of Italy – no – it´s really! Vibrant, unconventional, inspirational and adorable. In spite of the over one million inhabitants Cologne has something intimate, something familiar. Here you feel quickly at home and secure. The big university gives Cologne a climate, where young people are quickly able to orientate themselves, find a flat, a job and new friends. The cultural region is one of the most active in Germany. All year round there take place a lot of art-events in Cologne – e.g. the “long nights” of theatre, museum, music, literature or many festivals (film, dance, comedy, theatre…). The theatre scene gives a big variety – besides the city theatre and city opera there are also existing many small and big private theatre houses. The club- and discoscene makes Cologne even more attractive for young people. 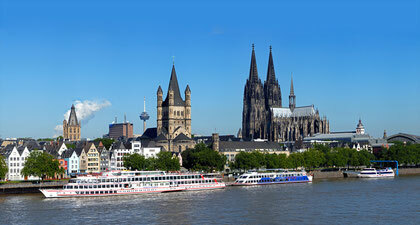 More informations about Cologne you find here at KölnTourismus! MOVEMENT ACTING & PHYSICAL COMEDY!!! 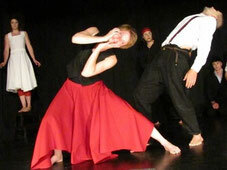 PHYSICAL STUDIES - Berufsbegleitende Zusatz- qualifikation "Physical Theatre"! Nächster Start: Oktober 2018! Infos hier! "End of the year Show"
im "Theater im Hof" in Köln. "Try and Decide" - Workshop! Get to know us and our education programm! We will do some bodywork, mime technique and improvisation. Come and join us! Sie sind neugierig? Sie möchten mehr über uns und unser Angebot erfahren? Dann kommen Sie zu unserem nächsten Kennenlern - Workshop! 1 Woche am Unterricht der Ausbildungsklasse teilnehmen und bei Eignung im Anschluss oder nach Absprache in die Ausbildung einsteigen! Quereinstieg möglich! Infos hier!